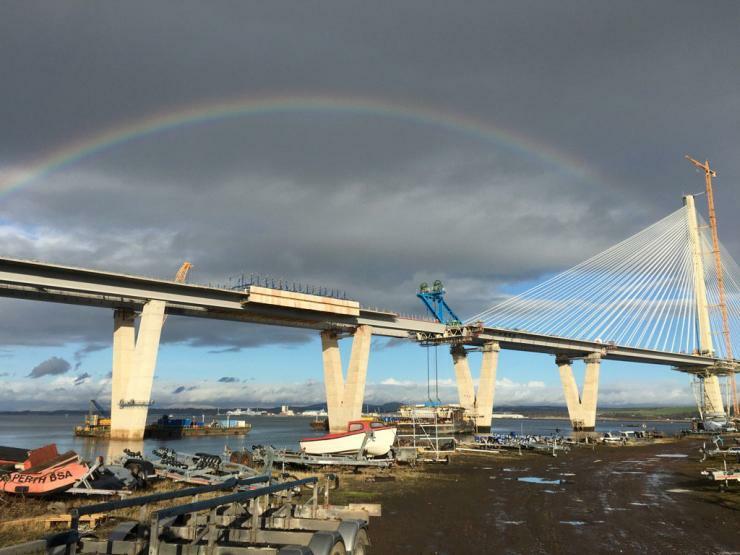 The deck of the Queensferry Crossing in Scotland is now complete following the lifting into place of the final segment. The new bridge has 122 deck sections in total. 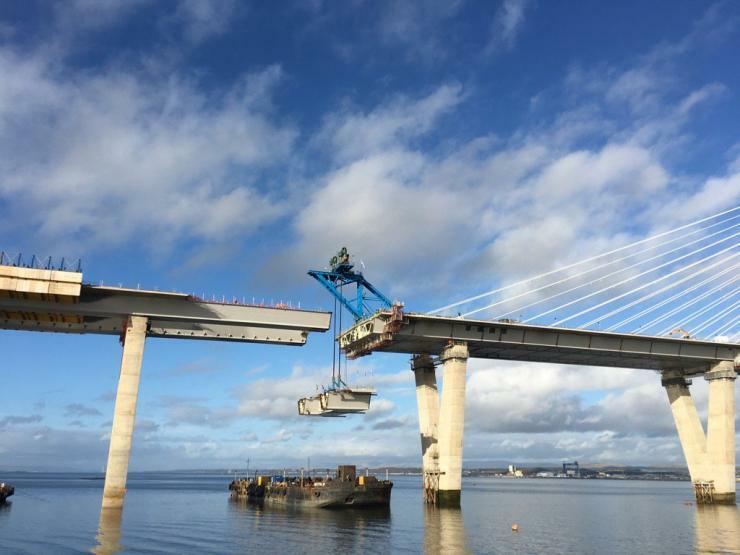 Initially 12 were lifted into place by a floating crane in October 2014. Lifting of the remaining 110 began in September 2015. 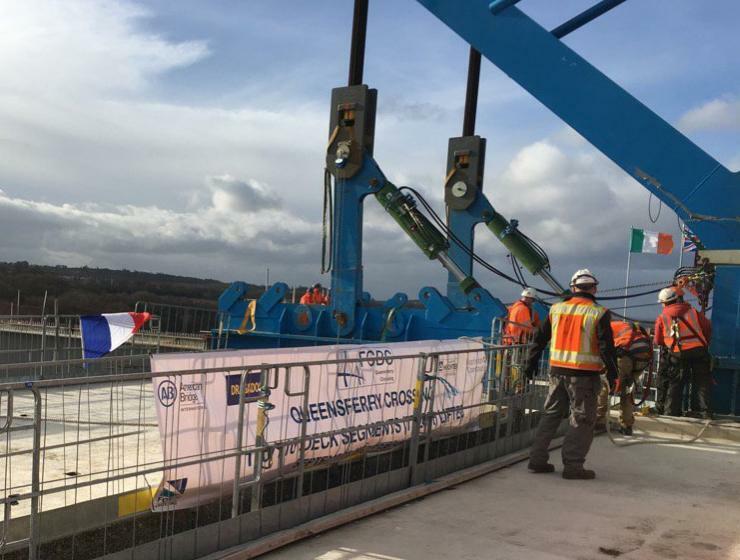 Each deck section weighs approximately 750t; they are around 40m wide and typically 16m in length although the final closure unit installed on 3 February is 12.1m long. Completion of the deck has used 77,200t of steel and concrete. The focus of work will now shift to completing the concrete deck of the south approach viaduct and making the full and final closure of the bridge deck from end to end.